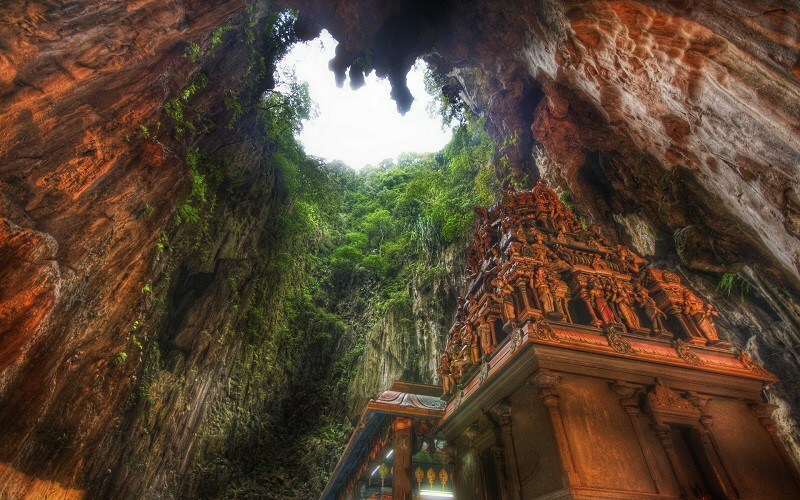 Filled with religious shrines and one of the world's tallest Hindu statues, the Batu Caves are an important -- and astonishingly beautiful -- religious site in Malaysia. 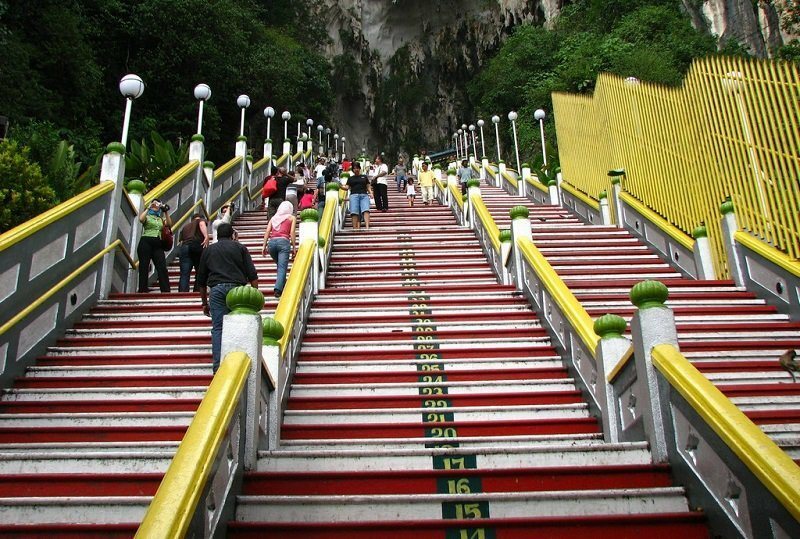 Tiptoe up 272 well-marked steps and you’ll reach the Batu Caves of Malaysia. 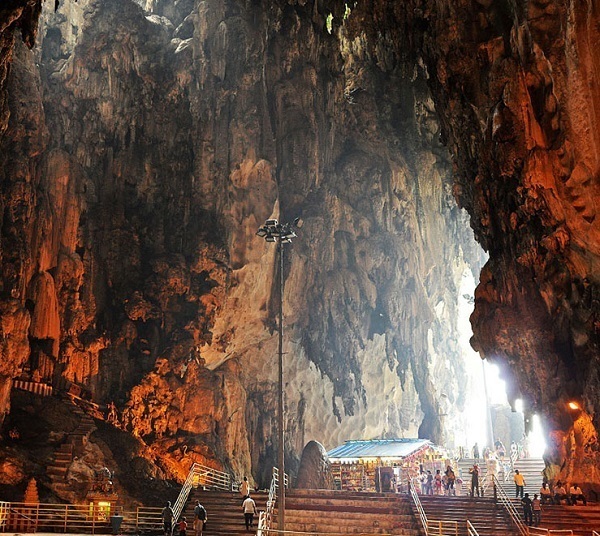 Located north of Kuala in the Gombak district, the Batu Caves attract thousands of Hindu worshipers and visitors each year. 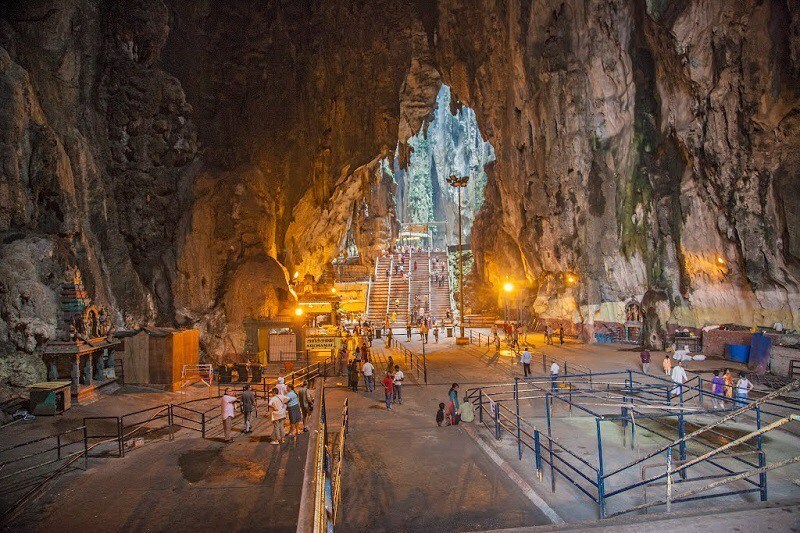 While each of the three main caves is astonishing in terms of sheer size and age (the limestone is estimated to be 400 million years old), the religious shrines and statues sprinkled throughout the caves have rendered Batu Caves an important religious site for Hindu followers. 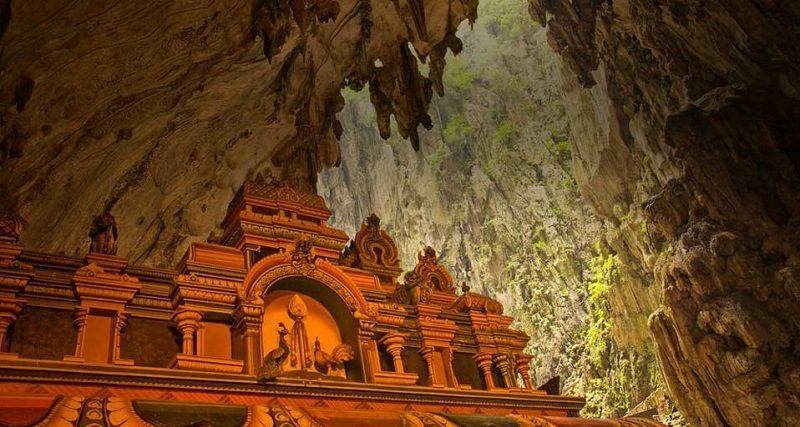 The huge limestone caves have existed for hundreds of millions of years, though they have only been of religious importance for a little over a century. 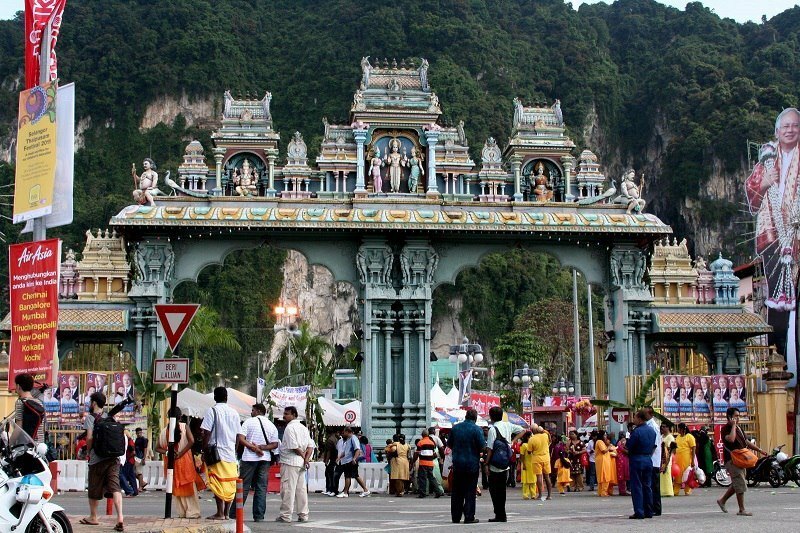 In 1888, soon after Indian immigrants began holding positions on the Malaysian rubber estates, Hindu followers began celebrating Thaipusam at the Batu Caves. 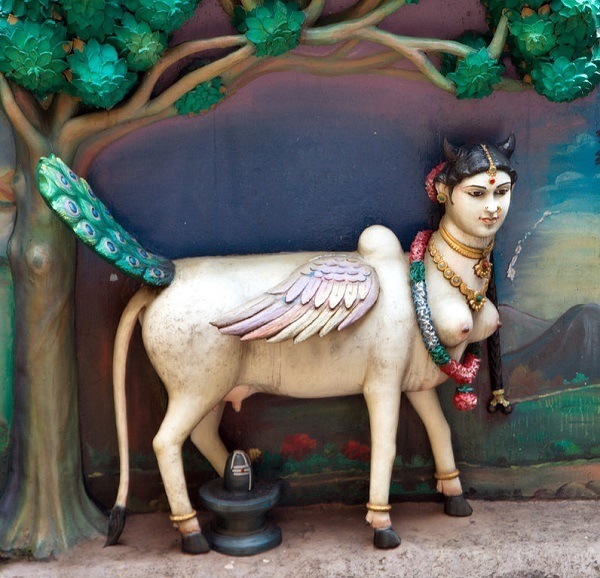 The colorful festival takes place during the last week of January, or the first week of February, depending on the alignment of the planets (among other factors). 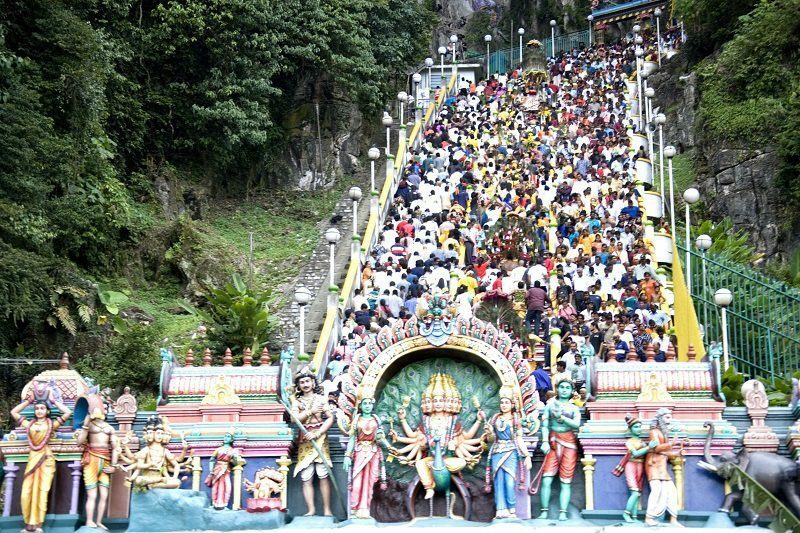 While the Batu Caves are a perennially popular tourist attraction, attendance levels shoot through the roof during Thaipusam. 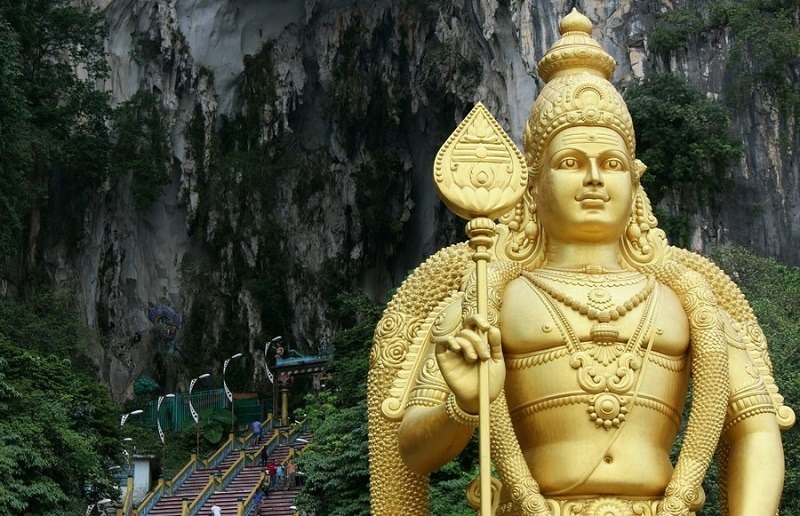 This multi-day Hindu festival commemorates the values of faith, endurance and penance, and marks a time when Hindus show their appreciation for Lord Murugan. 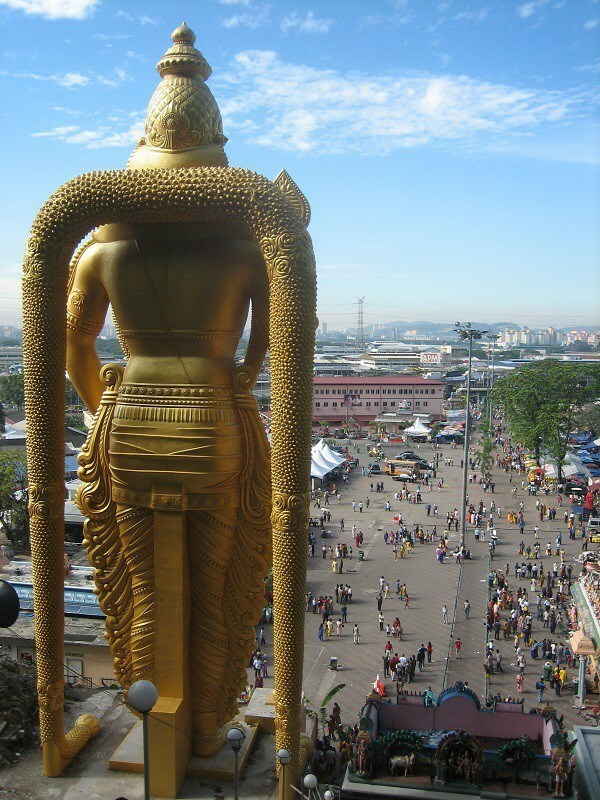 In Hindu cultures, Lord Murugan is the son of Shiva, the third god in the Hindu triumvirate (along with Brahma and Vishnu). 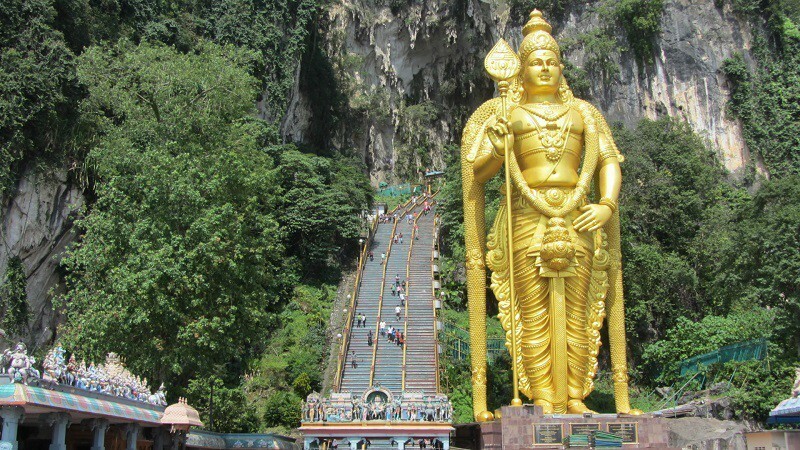 At the entrance of the caves stands the Lord Murugan Statue, the second tallest statue of a Hindu deity in the world. 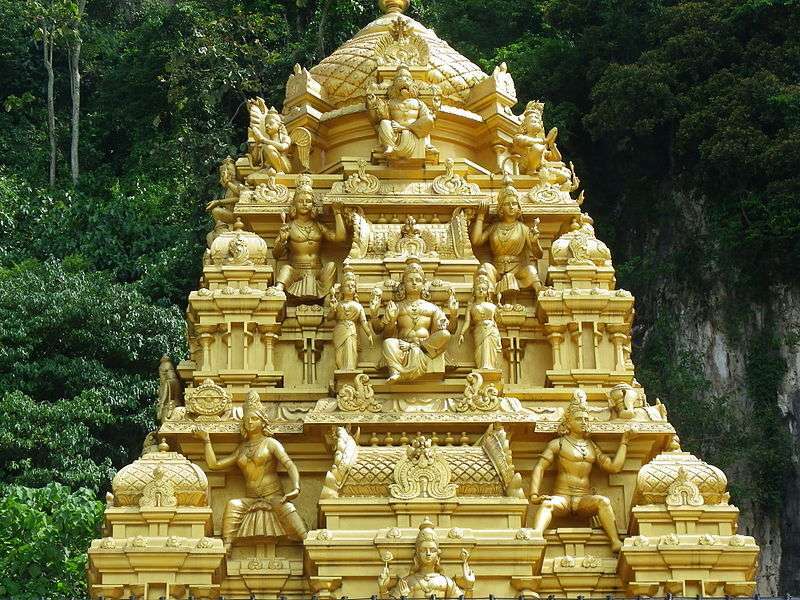 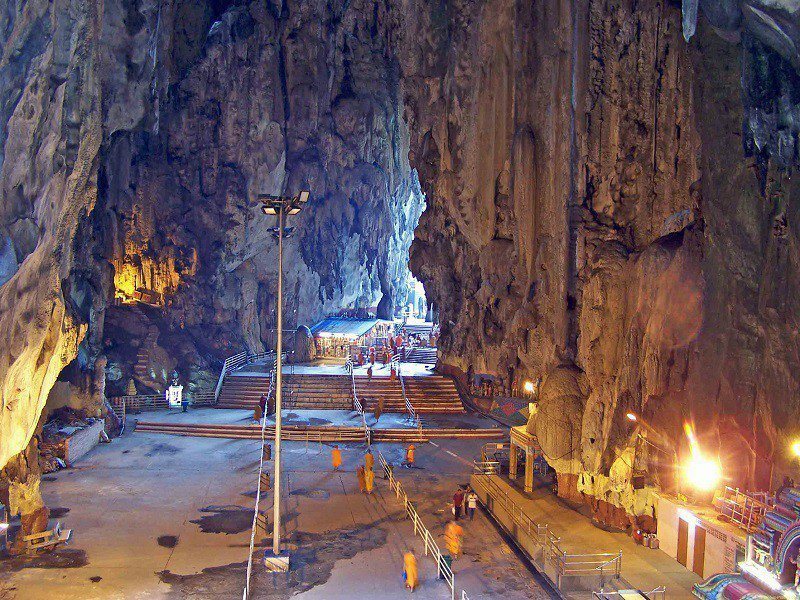 In addition to being a highly revered religious destination, the Batu Caves serve as a source of inspiration for those less spiritually inclined. 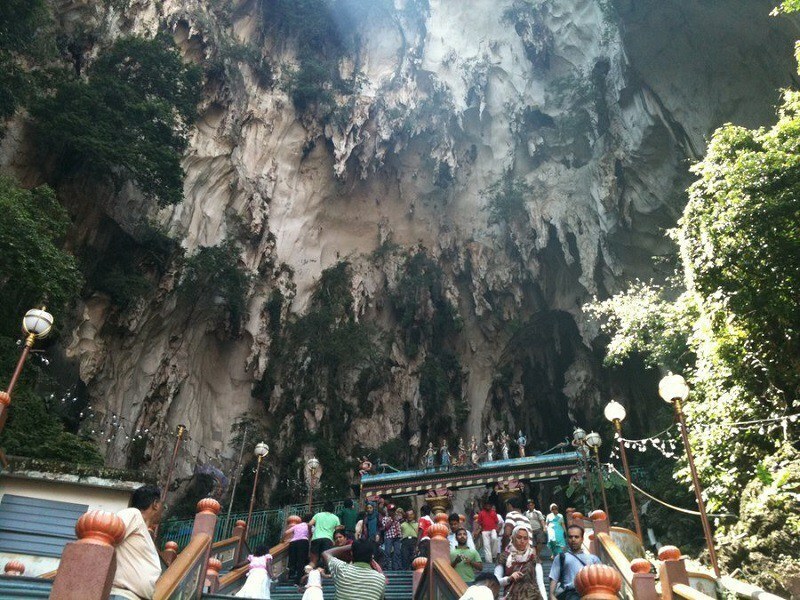 Here, tourists will find an array of rock climbers, wild monkeys and stark gold statues. 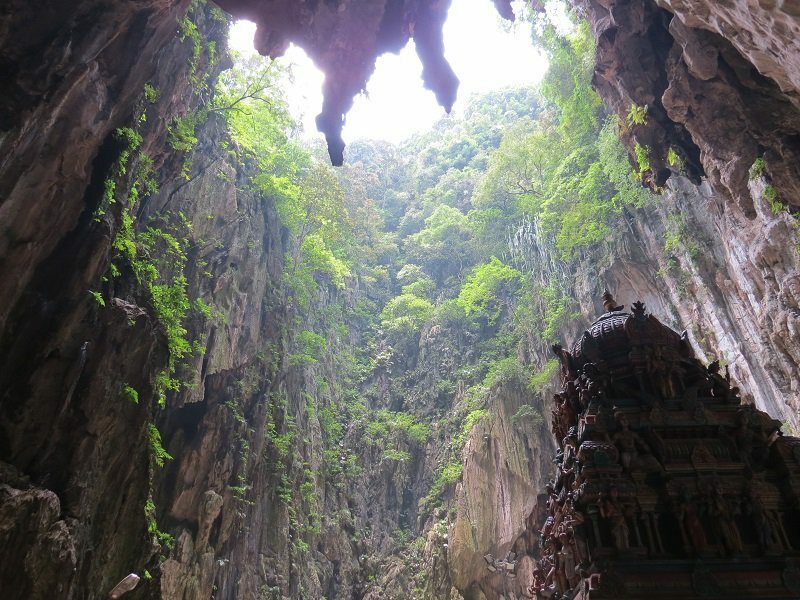 The enormous limestone caves also house a diverse ecosystem where fruit bats, rare spiders and other species thrive.